Historically, there has not been a system solution available to practitioners of Emergency Medicine for reducing the incidence of medical errors and the exposure to medical malpractice liability. It is no coincidence that this field is well known for being a high-risk specialty, susceptible to cognitive errors that lead to missed and delayed diagnoses, adverse outcomes, and malpractice claims. In response, The Sullivan Group designed a scalable solution to mitigate the specific clinical risks that often lead to patient harm in Emergency Medicine. 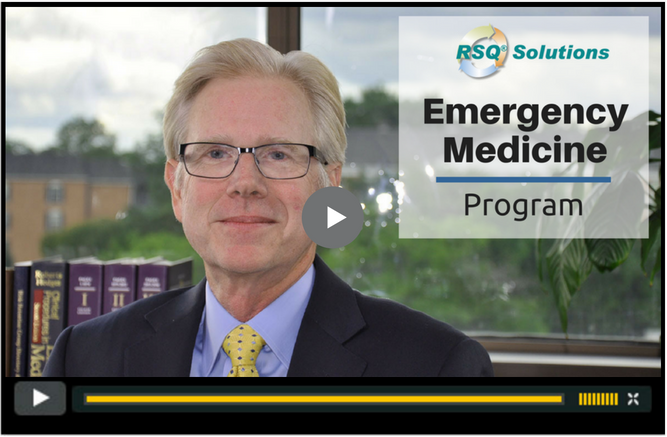 The RSQ® Solutions - Emergency Medicine Program provides organizations with a comprehensive solution that directly addresses the adverse events that stem from a missed or delayed diagnosis. Each components of the RSQ® Cycle brings the providers and nurses together around the most relevant, high-risk issues in the emergency medicine environment.